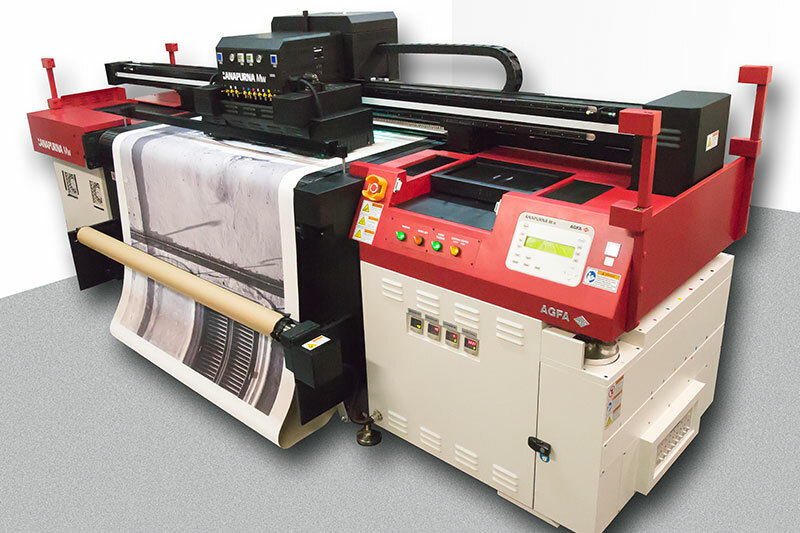 Benson Signs are proud to announce their purchase of a new Agfa Anapurna Mw large format printer. 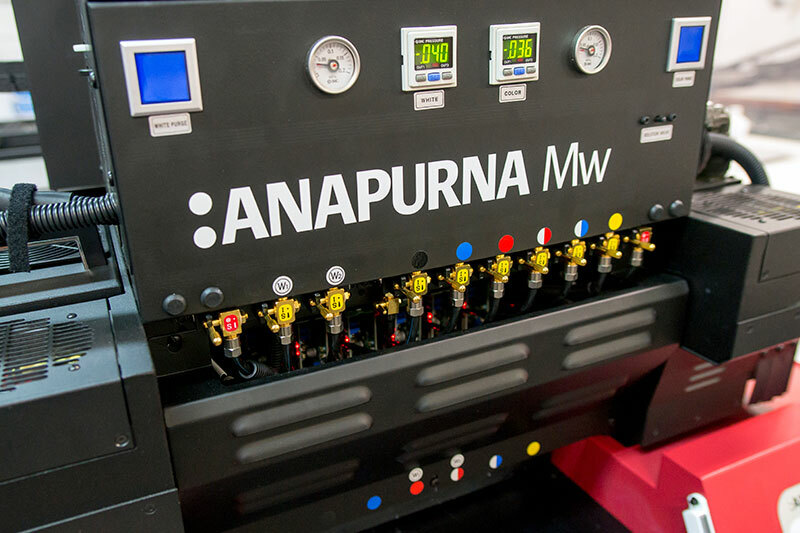 The Agfa Anapurna Mw is a hybrid UV-cured wide format inkjet printer for both indoor and outdoor applications, designed to deliver photo quality output onto a wide range of rigid and roll-to-roll print media up to 1520mm wide and 45mm thick at a resolution of up to 720 x 1440 dpi. 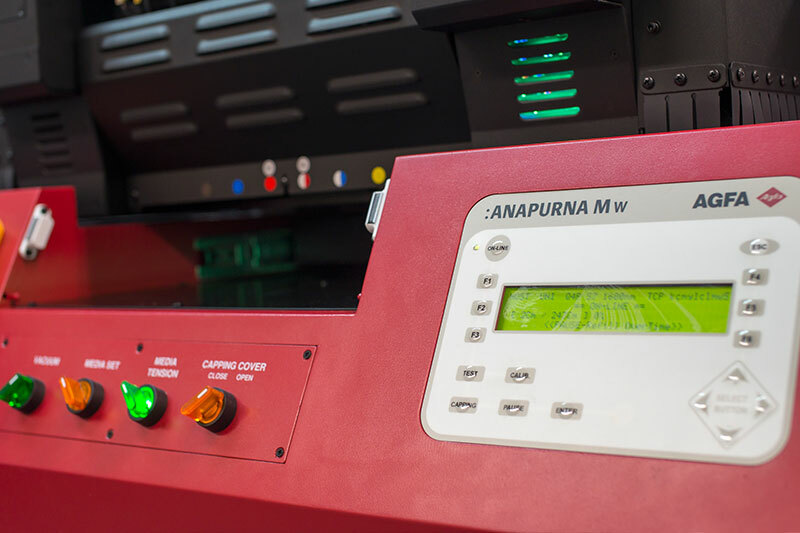 With its separate white ink function, the Agfa Anapurna Mw creates new possibilities for printing solid white ink alongside its full colour printing, and will also print solid white on top of solid colour backgrounds. It can print onto all standard rigid sign materials but also onto more unusual surfaces such as glass, stone, ceramics, wood and metals, it also excels at printing on roll-to-roll medias such as paper, banner materials, wallpapers, textiles, canvasses and many more. Its environmental credentials include a lack of harmful VOCs and solvent emissions and extremely low levels of waste inks. Call us, to see how we can help your business stand out from the crowd. 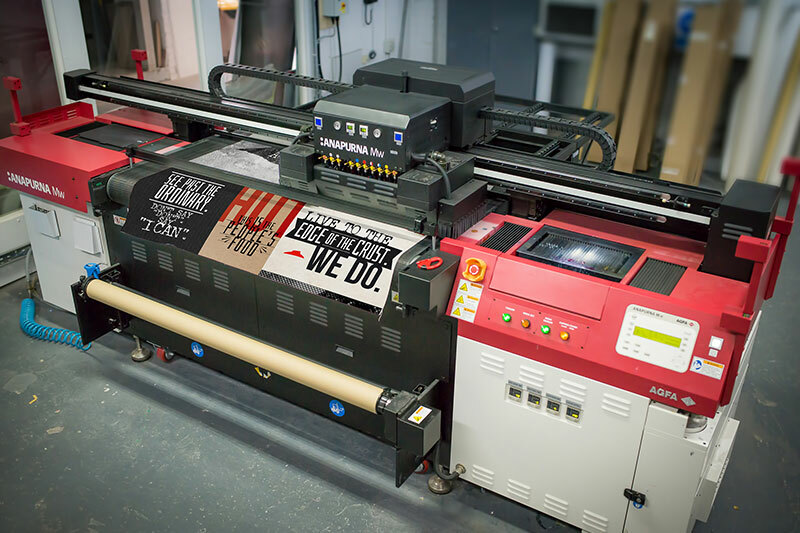 Benson Signs are proud to announce their new Agfa Anapurna Mw large format printer with White Ink printing capabilities.